you can easily reuse old or failed Polaroids by opening the back and inserting a new photo. optional: You can edit your photo on such a way it actually looks like a Polaroid, PicMonkey has a Polaroid effect option. open the back of the Polaroid by picking the upper edge loose. 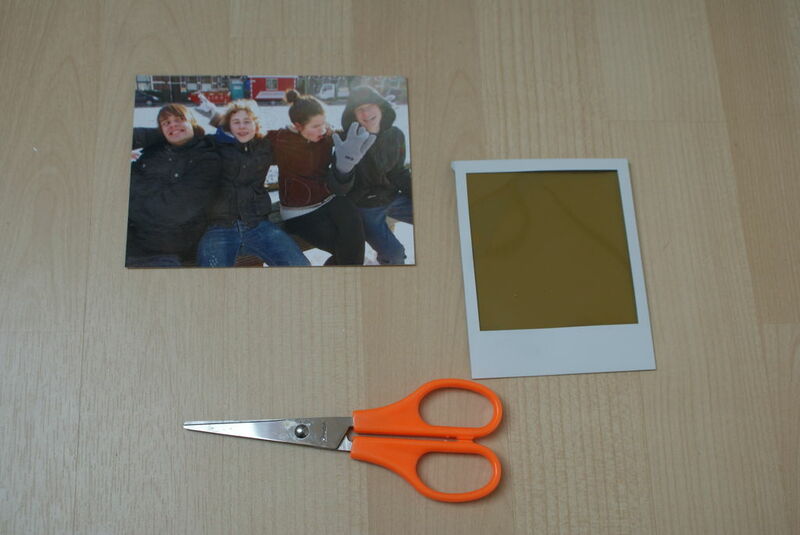 Cut your picture in a square so it fits in your Polaroid. insert your photo and close the edge again with some glue. tried doing this with film from the impossible project and it did not work. You should enter the Analog Photography Challenge!